It seems quite natural that someone who has been head of the DPP twice is now competing for its Presidential nomination. However, the closer one looks at the case of Hsu Hsin-liang (許信良), the more unsusual it appears to be. For example, a Chinese dissident has mentioned Hsu’s name in connection with alleged plans for a Beijing-funded political organization, to be established as a puppet party in Taiwan after the 2012 Presidential elections (see below). Some of his political views are far removed from DPP mainstream. This video is an excerpt from the first TV debate between the three DPP candidates for the Presidential ticket, broadcast on April 9, 2011. There were two more on April 13 and 16, and a last one will follow on April 20. The DPP wants to settle on a candidate by May 4. Although it looks like the race will be between political heavyweights Tsai Ing-wen and Su Tseng-chang, Hsu manages to steal the limelight and make a lot of headlines. The most emotional performance came from Hsu Hsin-liang (許信良) when he said that Taiwan should “open up wide to Chinese money, students and tourists” — true to his election announcement that he did not expect to win, but hoped to influence election policy. “The single most important issue is Taiwan’s economic growth,” Hsu said. “I care about cross-strait ties because I care about their economic impact. Only with growth can we craft and fund better social welfare policies,” Hsu said. A veteran politician said Saturday that Taiwan’s main opposition party should drop its anti-China stance and sanction unrestricted Chinese investment in the self-governing island in order to win next year’s presidential election. In an editorial, the Taipei Times called Hsu’s candidacy a sign of the DPP’s „democratic maturity“. A man who has always wanted to lead the parade, but has rarely had a sustainable following. He is a man who loves to talk and press the flesh, but has not had a recognizable job in decades. Yet, surprisingly, he seems to live well enough — so much so that he makes many wonder where his money comes from. Hsu started out with the Kuomintang (KMT) in the early 70’s and won the Taoyuan County Commissioner Elections in 1977 as a independent. He was DPP Chairman from 1992-93 and 1996-98, twice failing to secure his party’s Presidential ticket. He split with the DPP and ran as an independent candidate in Taiwan’s 2000 elections. Hsu supported the KMT in 2004 and the DPP again in 2008. In March 2011, to everyone’s surprise, he announced his participation in the current DPP primary. That did not come cheap. In 2009, the Chinese dissident Yuan Hongbing (袁红冰) published his book „Taiwan Disaster“ (台灣大劫難). The English translation, titled „The Taiwan Crisis: China’s Plan to Annex Taiwan without a Battle by 2012“, came out in 2010. 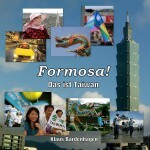 In Taiwan, it is available here, here and in the Taoyuan Airport bookshop. Yuan, a former law professor at Peking University and self-proclaimed drinking companion of China’s Vice President Xi Jinping during the 1980’s, currently lives in exile in Australia. He claims to have been provided with highly classified internal CCP documents revealing China’s strategies to annex Taiwan. One of those strategies, he claims, is to establish a Chinese-run „Taiwan Socialist Democratic Party“ within Taiwan. But how to give a puppet party a credible facade? Yes, that sounds like on huge conspiracy theory. Let’s all hope it is. Meanwhile, Hsu Hin-liang has won the support of other marginalized former DPP figures, notably former Kaohsiung County Commissioner Yang Chiu-hsing (楊秋興), who ran against the DPP as an independent candidate last November after not securing his party’s nomination for the post of Greater Kaohsiung Mayor. And of former independence movement icon and DPP Chairman Shih Ming-teh (施明德), by now a highly polarizing figure detested by many of his former supporters. Shih and Hsu denied that they were aligned with the Chinese Nationalist Party (KMT). There is suspicion that Hsu will run for President as an independent candidate once the DPP turns him down again – although when he tried that in 2000, having just stepped down from the DPP Chairmanship, he did not even collect 1% of the vote. Only one thing is for sure: This will be a very exciting year for everyone interested in Taiwanese politics. How some people experienced the rallies on Taiwan’s Super Sunday. And tweeted about it.